Once again, the Wireless Theatre Company has produced an energising, bewitching, atmospheric piece of radio. Opening seven years after the end of the last series (reviewed HERE), we are immediately dropped into the thick of the action and the pace does not let up throughout the three episodes. The Doctor Who references this time seem to me more subtle and, at the same time, wider-reaching – the soundscape played a large part in this (I’m sure I heard a TARDIS at a couple of points! ), especially the incidental music provided by Cameron K McEwan. 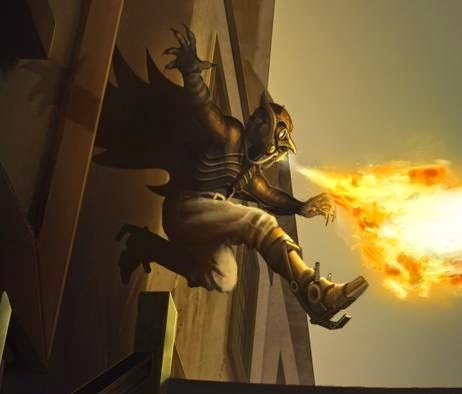 Without giving too much away, much of the story revolves around a mysterious box, whose origins, it turns out, involve transwarp drive. The box’s final destination is reminiscent of another cult classic – Raiders of the Lost Ark. The acting was also superb. Christopher Finney reprised his role of Jonas Smith with aplomb, John Holden White, as James M Rymer, was an excellent addition to the cast, and Nicholas Parsons was wonderful as Cuthbert Leach. However, my personal favourite this time was Josephine Timmons, as Lizzie Coombe. She was believable on so many different levels (it was a complicated character); totally sympathetic and a pleasure to listen to throughout. Casting was by Jack Bowman, who also had a small but effective cameo, but whose major contribution is in the production and the superb writing (under his pseudonym of Gareth Parker). The excellent direction was by co-writer Robert Valentine, who was also part of the production team, along with Mariele Runacre-Temple. 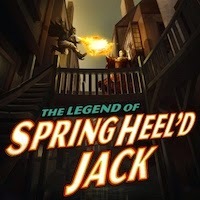 The Legend of Springheel’d Jack comprises of three episodes: The Terror of London, The Carnival of Horrors and The Engine of Doom – all of which can be downloaded from www.wirelesstheatrecompany.co.uk. A third series is planned for an August/September release – I’ll be listening!